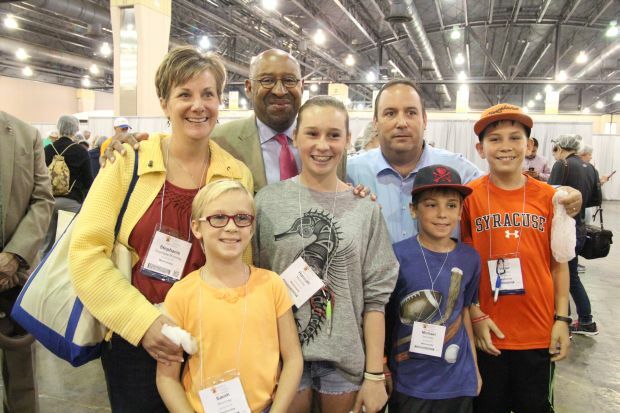 Participants of the World Meeting of Families took a break from the family-themed conferences on Wednesday, Sept. 23 to help families in need half a world away. 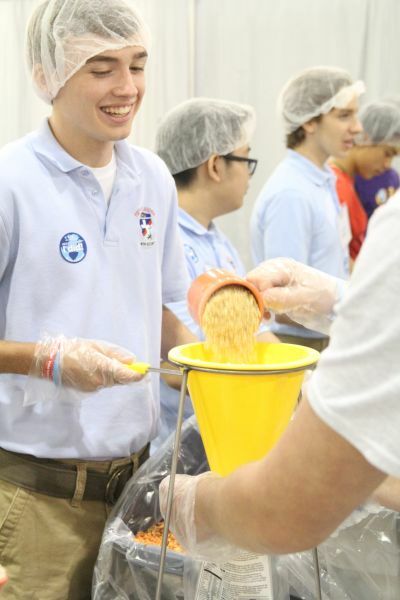 The Helping Hands activity at the Pennsylvania Convention Center aims to pack 200,000 meals over seven shifts during the World Meeting, through Sept. 25, through the efforts of 3,500 volunteers. 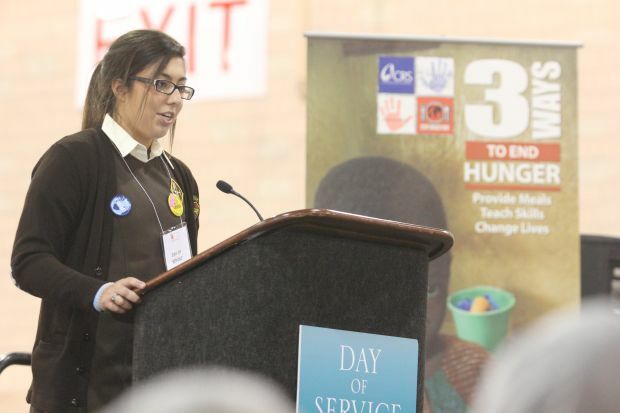 Catholic Relief Services and the relief agency Stop Hunger Now are sponsoring the event. 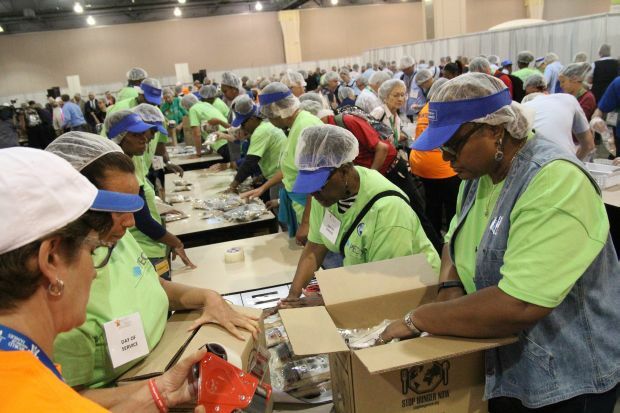 Hundreds of volunteers just in one shifty Wednesday morning, Sept. 23 pack meals at Helping Hands. 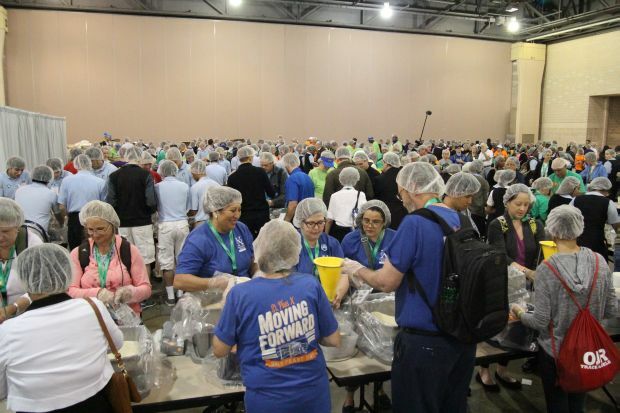 Some 3,500 volunteers aim to pack 200,000 meals by week’s end. 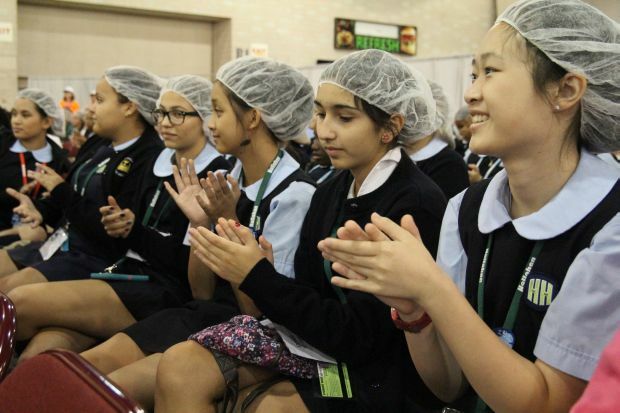 Students from John W. Hallahan Catholic High School for Girls applaud speakers revving up the volunteers before the start of the activity. 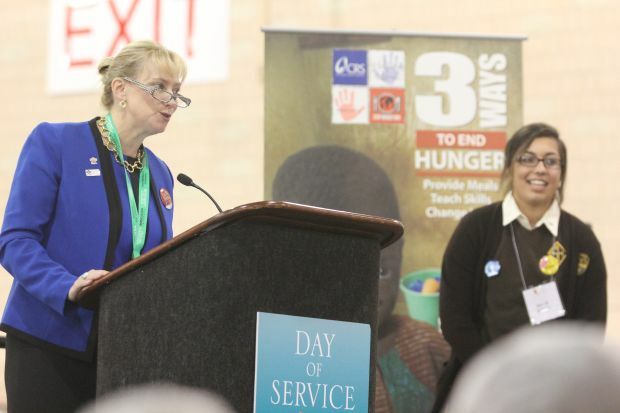 Donna Crilley Farrell, executive director of the World Meeting of Families, speaks to the volunteers. 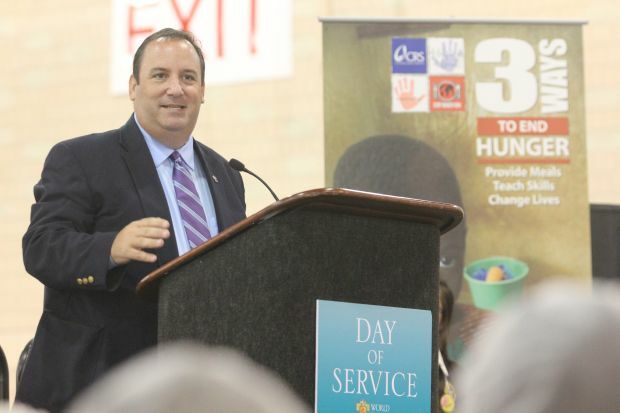 Chris Mominey, secretary for Catholic education for the Archdiocese of Philadelphia, speaks to the volunteers that included many Catholic high school students in the archdiocese. 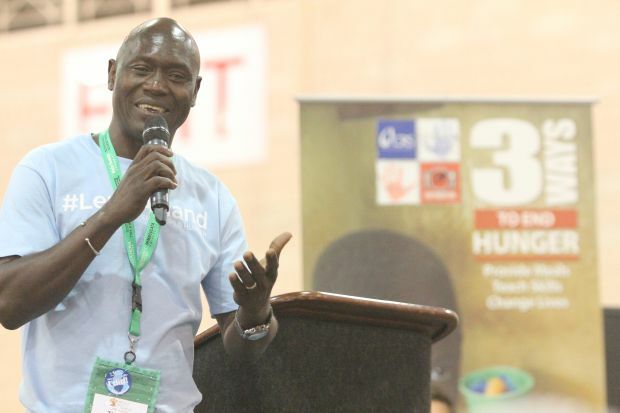 Thomas Awiapo, representing Catholic Relief Services, inspires the volunteers. 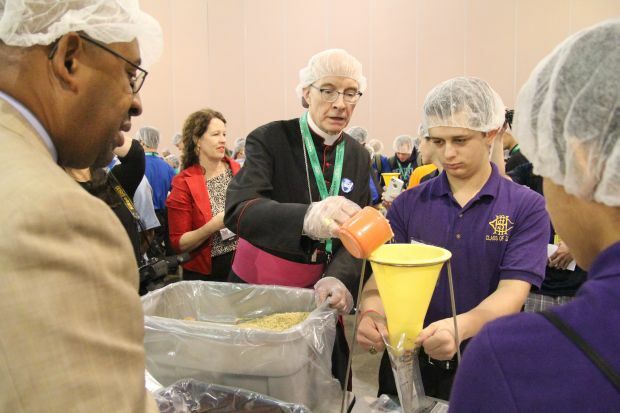 Philadelphia Auxiliary Bishop Timothy C. Senior, right, helps fill packages with food along with Philadelphia Mayor Michael Nutter, center, and high school volunteers. 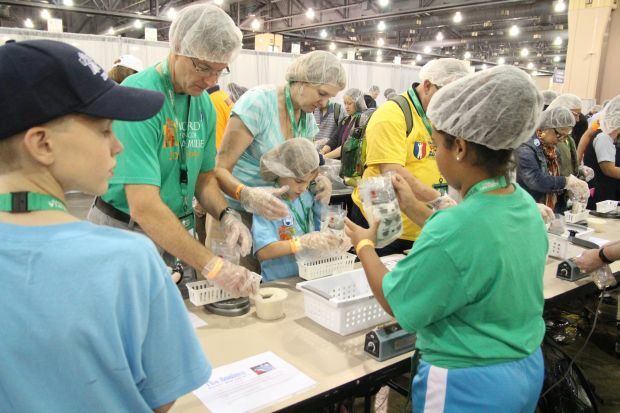 NEXT: Scenes of the papal visit to Washington, D.C.